This course introduces a variety of topics to build students’ skills and understanding of networking. The course also introduces networking devices and the Cisco IOS® software. 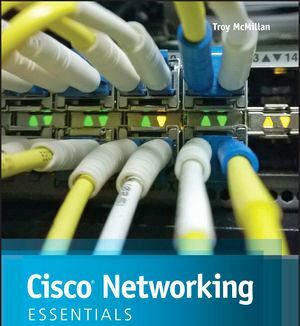 Students will learn how networks are set up, how devices are configured, how communication takes place on a network and the basics of implementing network security best practices which will enhance the students’ confidence in communicating their knowledge and work in networking-related professions. This course includes activities that expand on the course material presented. Upon completion of this course, the end-of-course survey, and the end-of-course assessment, the student will receive a Certificate of Completion. Chapter 1. Ever Wonder How it Works? Explain how end-user devices and local networks interact with the global Internet. 1.1 Communicating in a Connected World Explain the concept of network communication. 1.2 Local Networks Explain the roles of devices in a network. 1.3 Building a Simple Network Build a functioning network. Chapter 2. Networks in Our Daily Lives Explain the requirements for network connectivity. 2.1 Getting Online Explain the basic requirements for getting online. 2.2 Other Network Considerations Explain the importance of network representations. 2.3 Cabling and Media Build an Ethernet cable. Chapter 3. Communicating on a Local Network Build a small network using an integrated network router. 3.1 Principles of Communications Explain the importance of standards and protocols in network communications. 3.2 Talking the Language of Networking Explain how protocol model layers represent network functionality. 3.3 How do Ethernet Networks Work? Explain how communication occurs on Ethernet networks. 3.4 How are Networks Built? Explain why routers and switches are important in a network. 3.5 Routing Across Networks Configure devices on a LAN. Chapter 4. Network Addressing Explain the importance of IP addressing. 4.1 IPv4 Addresses and Subnet Masks Explain the features of an IP address. 4.2 Types of IPv4 Addresses Explain the features of the different types of IPv4 addresses. 4.3 How IPv4 Addresses are Obtained Configure a DHCP server. 4.4 IPv4 Address Management Explain the need for public and private addressing. 4.5 Addressing with IPv6 Explain the need for IPv6. 6.1 What Does a Home Network Look Like? Compare different types of network connections. 6.2 How Does Wi-Fi Work? Explain how Wi-Fi functions. 6.3 Setting Up Your Wireless Network Connect wireless PC clients to a wireless router. 6.4 Choosing ISP Services Compare the options available for connecting to the ISP. 6.5 Security Considerations on a Home Network Configure a wireless LAN device to protect data and the network. 6.6 Mobile Devices in the Network Explain how to configure mobile devices to use various wireless technologies. Chapter 7. Network Security Configure basic network security. 7.1 Am I at Risk? Explain network security threats. 7.2 Methods of Attack Explain other types of network security threats. 7.3 How Can I Protect My Network? Explain how software tools can mitigate network security threats. 7.4 How Do Firewalls Protect Networks? Configure a firewall to control network traffic. Chapter 8. Configuring Cisco Devices Build a simple computer network using Cisco devices. 8.1 Cisco LAN Devices Explain the basic features of Cisco LAN switches. 8.2 Internetworking Devices Explain the features of a Cisco small business router. 8.3 Exploring the Cisco IOS Explain how to use the Cisco IOS. 8.4 Using Show Commands Use common show commands to view device status. 8.5 Configuring a Cisco Network Build a switch and router network. Chapter 9. Testing and Troubleshooting Troubleshoot common network issues found in home and small business networks. 9.1 What To Do When It Does not Work Explain the steps to take when a new configuration does not work as expected. 9.2 Troubleshooting Issues in Networks Troubleshoot network problems with common network utilities. 9.3 Identifying and Fixing Common Problems Troubleshoot a network connectivity problem. 9.4 Working with Customer Support Explain how to work with customer support.